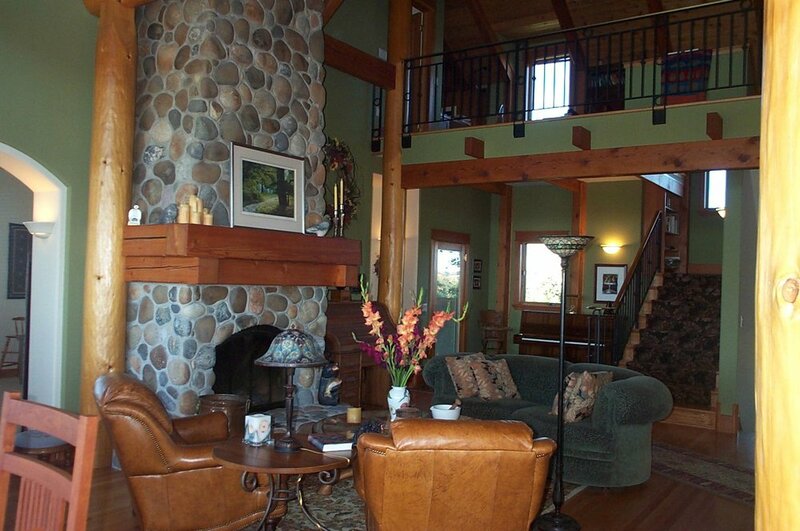 He wanted a log home, and she wanted something more finished – so we worked with them to find a solution that satisfied them both. 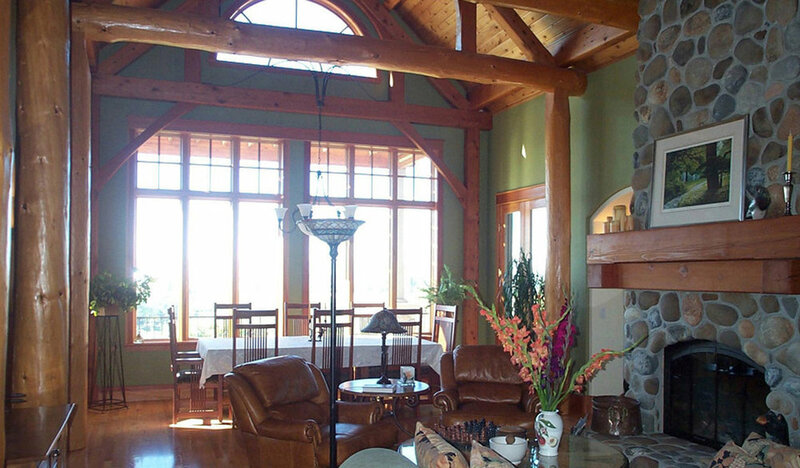 By combining traditional timber framing, with log trusses in the central great room and structural insulated panels and wood detailing throughout, the interior of the home has a relaxed elegance that lets the sun stream in. The log timbers are Port Orford cedar, felled after a natural occurring organism destroyed the trees’ roots. 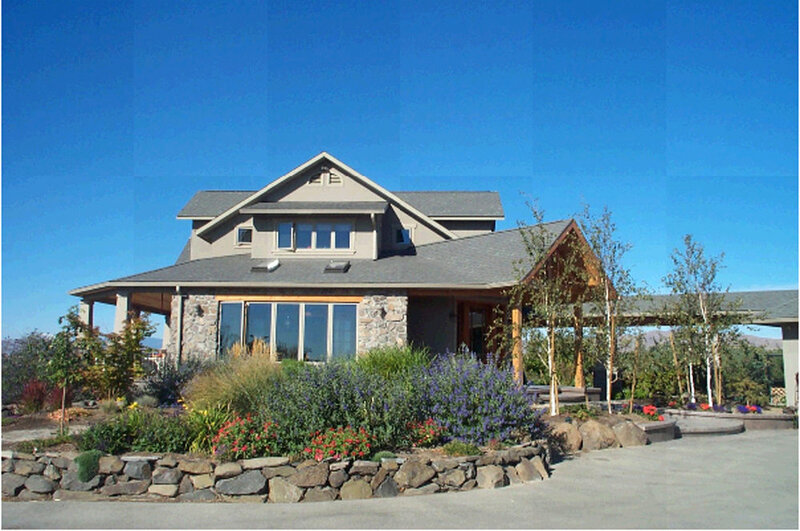 The exterior, finished with stone and stucco, ties the home to its site in the hills west of Yakima. 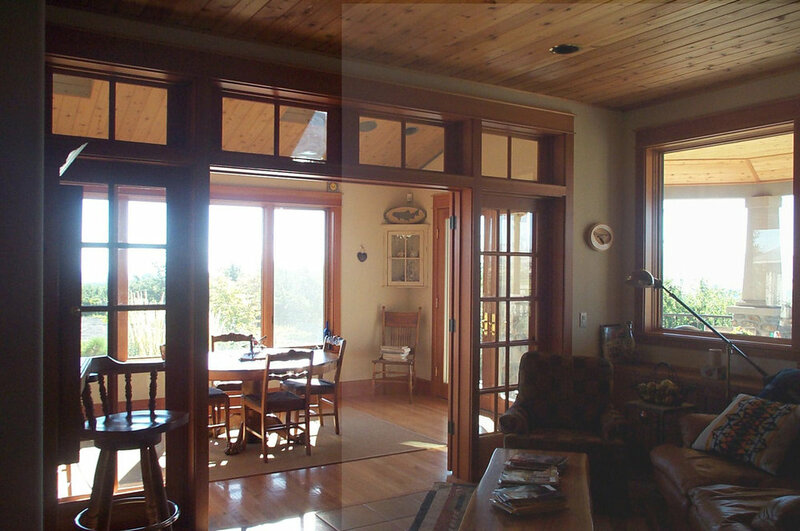 Milled timber framing was used at the angled entry porch for an open feeling, and as a reflection of the interior finish. On the interior, the soaring ceiling in the great room is softened by the open log timber trusses, which create a comfortable setting for the natural stone fireplace. 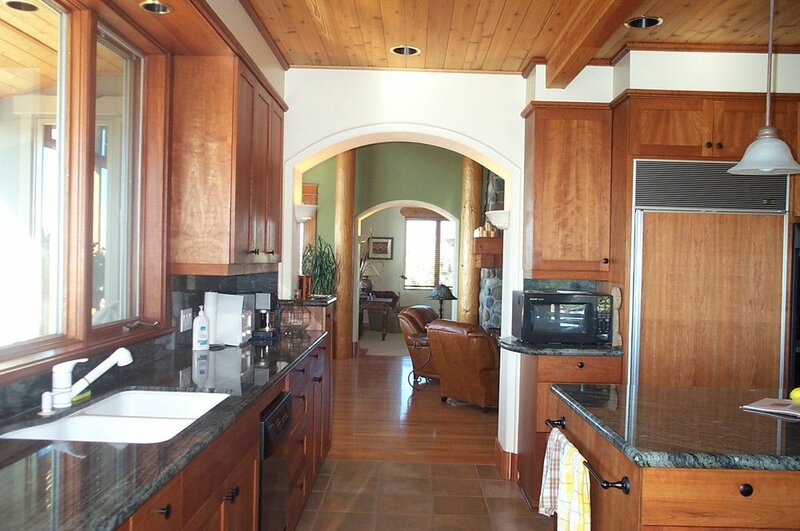 Repetitive arches tie the kitchen to the den across the great room, while framing the log timbers that support open trusses above.